Parents and teachers of bilingual students, I'm so happy to tell you about a new free resource! This collaboration between 18 Spanish-language TpT authors is a goldmine for you. All of them are fantastic and brilliant at creating quality content for your bilingual or Spanish classroom. I was happy to contribute to it, as well. 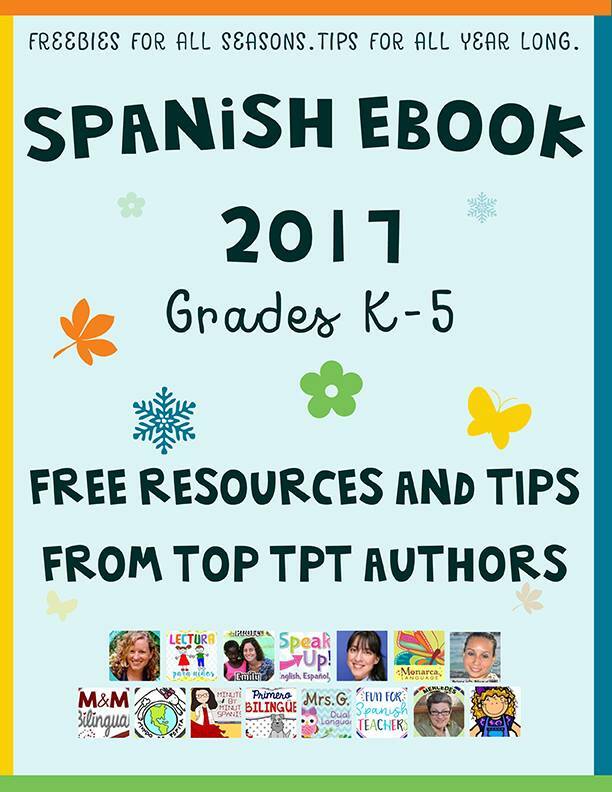 Mundo de Pepita is hosting this year's eBook on her TpT page. So don't hesitate! Get over there and download your copy today.